Kezia Dugdale has said Jeremy Corbyn’s chances of becoming Prime Minister are “slim at best” while she remains in charge of Scottish Labour. 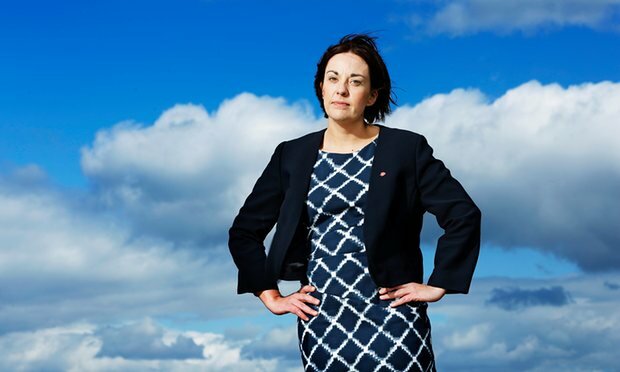 In a frank guest column for The Daily Record, Ms Dugdale said Mr Corbyn’s chances of leading a UK Labour Government while she remains in charge of bringing in crucial Scottish votes were “slim at best, non-existent at worst”. “I’ll probably just lose to the Tories again,” she added. The comments come as Labour heads into a fractious leadership contest between creased vegan Corbyn, an egg who looks like Francois Hollande and an exiled Targaryen hamster from Yorkshire, which was triggered by an attempted coup by MPs so poorly-planned and executed that it left Tom Cruise yelling and forcefully gesticulating at his television. Ms Dugdale wrote: “Jeremy Corbyn is a man I have come to respect a great deal. We were elected to our respective leadership positions at roughly the same time, and we have a good, friendly working relationship. Yet he has lost the confidence of his MPs. “Vote Yes?” Ms Dugdale added hopefully. Ms Dugdale has sought to rise above the fray of recent leadership squabbles within the UK party, but prior to Corbyn’s election as Labour leader last year, she famously said that if he became leader Labour would be left “crapping on the side table”.